SAVE when you buy all 4-maps! Accurately communicate desired flavors for new beer brands. Prepare and describe malt characteristics accurately across the distribution chain. Reference ASBC's Hot Steep Method (included with map). 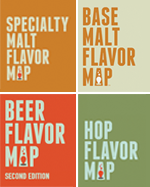 The Specialty Malt Flavor Map is an intuitive and approachable tool that bridges communication gaps across the supply and production chain. 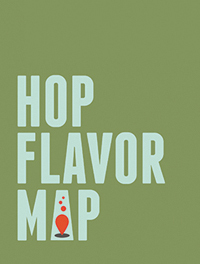 Developed through industry collaboration, this map will be helpful for anyone working with malts, from breeders to brewers, who can use the visual aid to communicate the myriad flavors of specialty malts to customers. In an aesthetically pleasing manner, the map lays out the sensory terms associated with specialty malts—such as fruity, bready, woody, earthy, and grainy—and then breaks down the categories even further with additional descriptive terms. 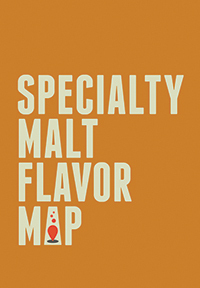 In addition, the Specialty Malt Flavor Map includes ASBC’s Hot Steep Malt Sensory Evaluation Method (a $100 value). It provides a quick and convenient way for users to reference the steps to take when preparing wort for sensory analysis, allowing for even greater accuracy. 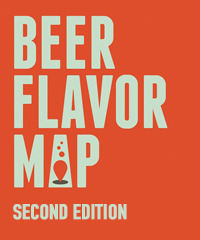 Driven by flavor, backed by chemistry, and easy to use, the Specialty Malt Flavor Map is an essential resource for every brewing professional. Advertise | Contact Us • Report a Bad Link | About | © American Society of Brewing Chemists.